If you’re a blogger or a social media marketer, you”ll undoubtedly end up multitasking. Multitasking doesn’t usually work very well. We overwork. There has to be a better way. This is where the tools come into play. 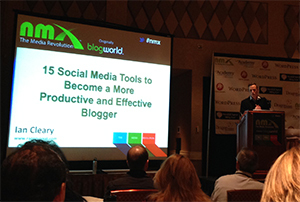 In his New Media Expo 2014 session, Ian Cleary reviewed 15 Social Media Tools to Become a More Productive and Effective Blogger. Some are designed to help you find content to write, others to automate and monitor, or optimize. Regardless, they can all help make your social media life a little easier. Social Crawlitics – This tool crawls through your blog and analyzes all the social shares and shows a chart based on those shares. This lets you see content that gets shared more than others, and what topics touch your audience. Then you can focus your efforts on those topics and ideas. You can also look at your competitors. The page-level results shows which pages have the most shares, pins, LinkedIn posts and more. Topsy – This tool can help you find content people are linking to already. With Topsy, you can simply choose the ‘Links’ section and search for the topic you want to write about. The tool will show you the content that got the most links. Then, you can look deeper at it and see why it was linked to so much. Now you have the ability to make content that is more valuable than the top linked. Once you’ve made your great content, see who is linking to other posts on the same subject and tell them about your new piece of content. Chances are they’ll want to share. SEMrush – Most of us know of SEMrush. Using this tool, you can enter a website address and it will give you analytics related to the site. While it provides so much useful information, Organic Keywords is a spot of focus. You can see where your competitors are getting traffic based on these organic keywords. This gives you an idea of what you can look to focus your content on and make more sharable/linkable content. Canva – People love to look at and share graphic content. Images add interest to blog posts. But hiring a full-time graphic designer can be very expensive. Canva is graphic design without the need for a graphic designer. Cleary saw a 450% increase for his traffic since he started using it and says it’s super easy. Select from a document, presentation, blog graphic, and more. Then select your template. Modify the text and add images (there are more than 1 million to choose from). Bam, you’ve made great looking sharable graphic content. Very simple, quick, and easy. Piktochart – Most people have an easier time visualizing data than simply reading it. This is why info graphics are so popular. They offer a highly consumable way to digest information. You can make great looking info graphics easily using Piktochart. The tool provides a range of templates that you can then customize and publish. You can even make infographics. This tool is very low cost and easy to use. dlvr.it – Save time sharing your posts from one social network with another network. dlvr.it lets you list the source social network and the destination network. It will then take any posts added to one platform and automatically post it to your other networks. It’s a great way to automate the sharing of your blog posts. The tool also provides analytics on your posts. SocialOomph – Write blog posts, let dlvd.it share your post to your other networks, then put it into SocialOomph. On a regular basis, it will send out that post again. 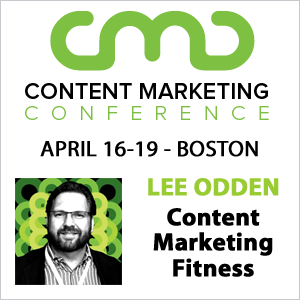 Content useful now is just as useful in 6 months so why not share it more than once? SocialOomph even lets you create variations for your messaging and automatically picks from a queue of your posts. Guy Kowasaki posts everything 4 times and just look at the social success he’s seen. Zapier – Automate over 250 web apps. Take your posts from one source and send them out to other social destinations. Create triggers for everything. Want a Buffer post made every time a video is posted to your YouTube channel? Zapier can do that for you. Friends+Me – While Facebook and Twitter let you schedule posts in advance, Google+ currently doesn’t. This tool posts your updates from Google+ to your other networks. Queue up great content and make sure it posts to G+ at the best times, even if you can’t be there to do it yourself. DoShare – Like Friends+Me, this Chrome plugin allows you to schedule content for Google+. While it may be a bit simpler than Friends+Me, the downside to DoShare is your browser does have to be open for your posts to go out. Brand24.net – Low cost and very useful, Brand24 graphs mentions across networks. It then allows you to zoom in and see where people are talking about you and your brand. These are great interaction opportunities. When it finds the mentions, it shows where they come from and you can break them down and sort and categorize to make it easy to manage. OpenSiteExplore.org – This one is great for finding the domain and page authority for a competitive page. It’s especially useful if you’ve found a page you want to overtake in SERP rankings. If your site numbers are generally higher, you might be able to overtake them with a little work. WordPress SEO by Yoast – This is one everyone that uses WordPress should be using. It gives you a breakdown of the SEO items you’ve got covered and what is missing from your posts, making sure your posts give Google what it wants. MozBar – This browser plugin shows domain rank and page authority of each page showing on the SERP of every search you do. You can then see if there are low ranking pages that are ranking high in search. This gives you a great idea of what you might be able to overtake. Screaming Frog SEO Spider Tool – This tool shows you all the page titles on your site. You can then go back and look to update bad titles and optimize them all. Great content alone won’t win the day. Successful promotion of that content through social media will drive even more success for bloggers looking to be seen. Using the these great tools, bloggers can bring their blogging efforts to the next level. Give them a try and let us know if they bring you new success. The goal is a little bit of craic. Glad you enjoyed them, Let us know if you find others you like. Some very useful tools you have listed here Ben. I knew about a lot of them but Topsy and Piktochart are new to me and I will be checking them out. I use Canva for pretty much all my Facebook page graphics and I love it. Very easy to use and even somebody like me who is graphically challenged can produce some decent looking imagery. Canva is a great one. So easy to use and the quality if creates is great. Great tips. I think the best way to be more productive and effective blogger is to find the best content to write and take advantage of using the social media networks to reach the readers. Exactly. You need quality content. If you don’t have that, social sharing won’t matter much. Great tools as I am working on quite a few mentioned. Thanks for sharing! Thanks a lot for presenting! Great list of tools. I’m going to check out SocialOomph today. I’m a fan of Canva as I think they’ve done an awesome job on simplifying the process. I also use the Chrome app Pixlr Express which is great for editing images. Socialoomph, Canva and Selz were recommended by Jeff Bullas at his recent Masterclass. I’ve used Pixlr a bit. Great for quick editing with no install needed. They have an iOS app too that’s fairly slick. I’ve heard it mentioned before. I’ll give it a look. Thanks. This is a great list. I have tried Canva and Piktochart. They are great tools for creating images. I would like to add http://www.webfluenz.com/ to your list as it can help bloggers monitor their presence on social media, know sentiment around their blogs, reach influencers that help push their content across the larger audiences and engage with people directly via a single dashboard.